Has your business been tagged? 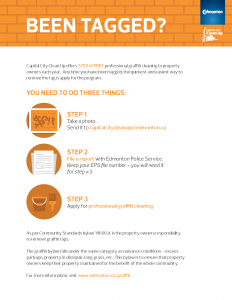 Capital City Clean Up can help! For graffiti not on your property please call 311 to report it.